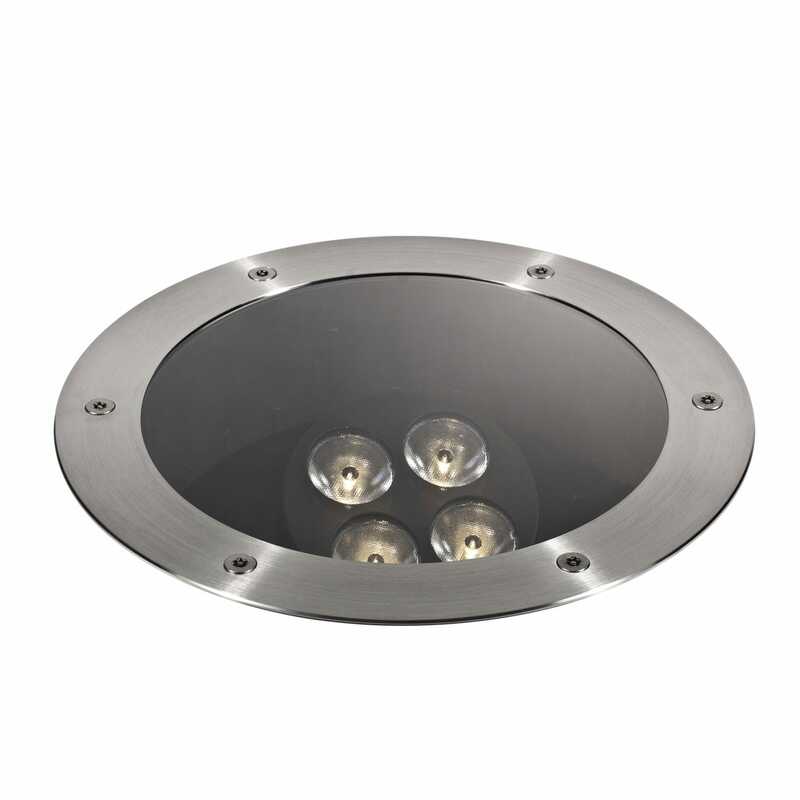 Recessed floor light fixture / LED / round / outdoor - KEPLERO GIMBAL - Targetti Sankey S.p.a.
KEPLERO GIMBAL Targetti Sankey S.p.a.
Gimbal optical system equipped with PMMA lenses available with three different beam apertures. The light beam can be adjusted up to 40° on the vertical plan and 350° on the horizontal one with integrated locking system. Optic group pre-set for the installation of one or more dedicated optical accessories to be ordered separately. On request the fixture can be supplied with a special anti-slip protective glass for public pedestrian areas. DALI electronic power supply available on request for minimum quantities. In line with International standard IEC 364-7-702 the IP68 rated projector can withstand temporary accidental immersion to a depth of 1 metre but is unsuitable for permanent underwater installation. IP69K complies with Standard DIN 40050-9.